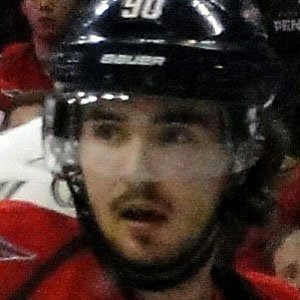 Center and winger who won a silver medal for Sweden at the 2014 Olympics and made his NHL debut for the Washington Capitals in 2010. He played for Farjestad BK in the Swedish Hockey League. He is known as a quick, technically skilled playmaker. He was born in Landskrona, Sweden. He joined left winger Alex Ovechkin on the Capitals in 2010.